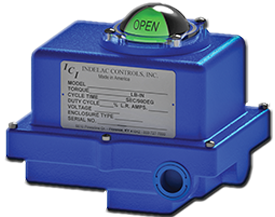 How to Choose the Right Fuse for your Electric Actuator | Indelac Controls, Inc. Although safeguards are implemented numerous times over while constructing electrically automated flow systems, overcurrent can still be crippling if fuses are inaccurately rated for the application. In this editorial I will offer you the information necessary to prevent a potential halt of production or in some applications catastrophic failure. The job of a fuse is to shield not only the equipment itself but also employees from severe impairment resulting in repairing or replacing equipment and more importantly injury to operators once an overcurrent circumstance takes place. In order to prevent equipment failure there are several key components to consider when outfitting your actuator or electric motor with the proper fuse. The first of these components is sizing your fuse for the correct electrical draw so knowing your motor is imperative. Motors can come in quite a large variety of voltages, so for the sake of expediency the focus of discussion will be on AC voltages, but most of the same principals of selection will also apply to other voltages. Now that there is a set source of power the next variable to consider is the voltage its self, once you have this you need to know what the typical operating current and power of the motor these should be displayed plainly on the manufactures label. If not then you will need to get a spec sheet on the motor with at least the motors horse power and lock rotor current. 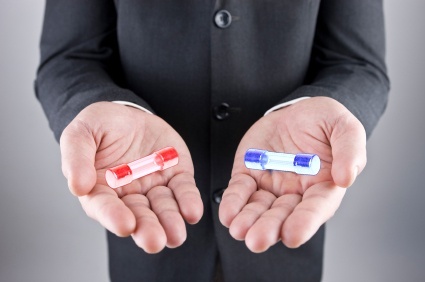 These specifications are absolutely necessary in the selection of your fuse. Once you have these properties you can use a simple equation to find the proper size of your fuse. Following the standard that when selecting slow blow speed fuses it should be valued at 100% of the typical motor operating current. The speed in which the fuse blows is also an important factor to consider when making a choice in equipment. While each different speed of fuse has its benefits slow blowing fuses are typically used in electrical systems using motors due to the initial surge of power when the motor is powered on. If the power of the motor was 1000 Watts and you were sizing for 115 Volt power supply. Take 1000/115 giving you 8.7 amps required. In this scenario a 9 amp slow blow fuse should safely protect your system. The speed of a fuse is fundamentally the period it takes for the fuse to open when overcurrent takes place. The time it takes for the fuse to open is determined by the material used in the fuse element, the overload current and the ambient working temperature. Hopefully this article has given you a little insight on the importance of proper fuse sizing and how to select the correct the size for your application. If you have questions please feel free to leave them in the comment section.